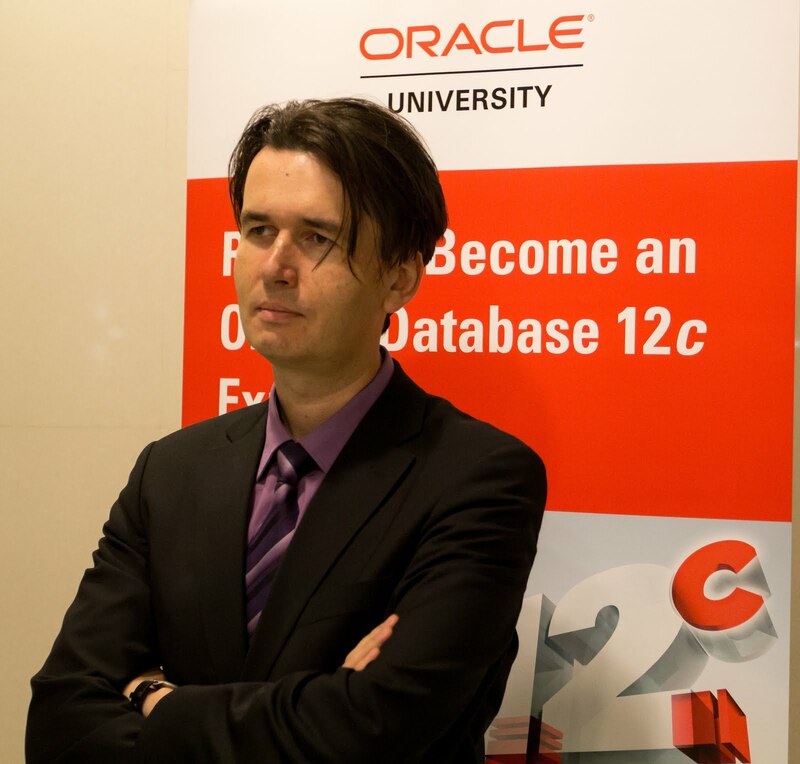 20 октября в Улан-Баторе (Монголия) состоится Oracle Technology Day, в рамках которого будет мой доклад "Identity Management On-Premise & in Cloud – overview" с обзором предложения Oracle по управлению и контролю доступа как в коропоративных информационных системах, так и в облачных. Подробная программа мероприятия на английском - под катом. 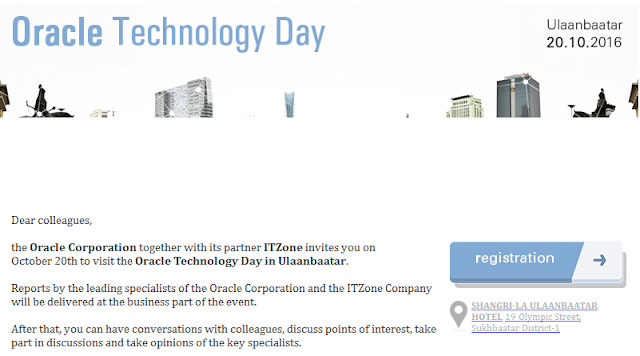 the Oracle Corporation together with its partner ITZone invites you on October 20th to visit the Oracle Technology Day in Ulaanbaatar. Reports by the leading specialists of the Oracle Corporation and the ITZone Company will be delivered at the business part of the event. After that, you can have conversations with colleagues, discuss points of interest, take part in discussions and take opinions of the key specialists. 09.50-10.20 Replication to the Cloud. Integration between the reality and future. Right now.